Below are some of the latest whisky releases to hit the online shelves in time for Christmas 2018. 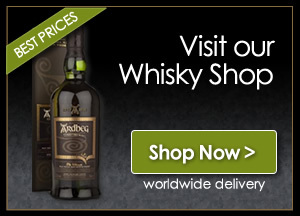 Visit the Whisky Boys online shop today to view the full selection of whiskies available. 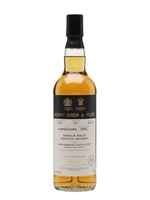 A well-aged Springbank selected and bottled by Doug McIvor and his team at Berry Bros. & Rudd. You don't see too many independently-bottled Springbanks around these days, with the distillery jealously guarding its old spirit – bottles like this show why. 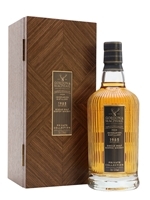 It seamlessly melds the classic earthy farmyard and softly smoky notes that typify Springbank with citrus, tropical fruit and gentle spice. An excellent dram. 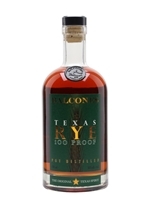 Balcones introduced their 100% Rye Mashbill with Elbon Rye from Northwest Texas, and also includes crystal, chocolate and roasted rye. It is distilled in copper pot stills, which creates a full-bodied style of rye whiskey. An incredible set of whiskies from veteran indie bottler Gordon & MacPhail. Over more than a century, G&M have built up a selection of some of the world's finest whiskies, and this Strathisla collection demonstrates how deep their warehouses go. Six bottles distilled at Strathisla across three decades, and aged for between 41 and 59 years: 1954 bottled in 2013, 1957 bottled in 2013, 1960 bottled in 2014, 1963 bottled in 2011, 1964 bottled in 2013 and 1972 bottled in 2013. An incredible selection that showcases how well Strathisla ages. 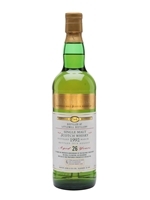 A 26-year-old whisky from long-closed Littlemill, bottled by Hunter Laing for the Old Malt Cask range as part of the series' 20th anniversary. Littlemill closed in 1994, was dismantled in 1997 and the remainds burned down in 2004 – there are now houses on the site – making it one of the most lost distilleries in Scottish history. The whisky was distilled in March 1992 and bottled in August 2018. A very special Christmas whisky from India's Paul John. 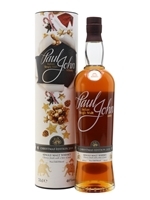 A small-batch release that has been flying off the shelves, Paul John Christmas Edition 2018 adds a touch of peaty spirit to the distillery's buttery bourbon-matured whisky as well as a finish in oloroso-sherry casks to give a pinch of Christmas dried fruit and spice. The result is a well-balanced whisky that works excellently as a festive after-dinner dram. A fruity whisky from closed Inverleven distillery, once housed inside the Dumbarton grain distillery but closed in 1991. This was distilled on 22 January 1985, matured for 33 years in a refill bourbon barrel and bottled on 6 July 2018. It's a classic Inverleven, building on it's fruity and grassy lowland style with layers of oak-influence, from even more fruit to spice, sweet toffee and vanilla and a touch of chocolate. 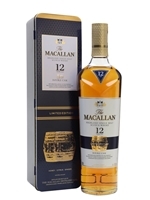 A limited-edition release of Macallan 12 Year Old Double Cask, with a gift tin featuring a photograph of a cask by Magnum photographer Alex Soth. Double Cask brings together two distinct styles of whisky from the distillery: American-oak sherry casks and European-oak sherry casks. The combination digs into the flavour profile of both different types of wood – bring a range of spice and fruity flavours – as well as rich sherry character. 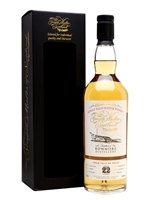 Aged in a single bourbon barrel for 22 years, this is a complex and well-balanced Bowmore with notes of sweet-cured bacon, pine needs, iodine smoke, singed coconut and rich, multi-layered fruits. Enjoy our 2018 Whisky of the Year, Bowmore 15 Year Old, from two handsome glasses thanks to this excellent gift pack. 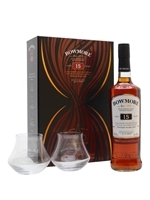 Bowmore 15 Year Old is a complex Islay whisky that elegantly balances sherry-cask character with the fruit and peat notes so beloved of the distillery.